Here are three things we learned from the Ak-Chin Invitational, presented by Cooper Tires, this weekend at Gila River Arena. Jose Vitor Leme may not have been able to walk out of Glendale as this weekend’s event winner, but the 2017 Rookie of the Year had made a thunderous push inside the Top 10 of the world standings in the last two weeks. Leme has surged to No. 7 in the world standings following a season-best, second-place finish this weekend by going a flawless 3-for-3 for 410 world points. The 21-year-old’s best performance came when he rode Samson for 88.5 points to win Round 2 on Saturday night. Leme, who began his weekend with 86.5 points on Money Talks in Round 1, went into the championship round on top of the event standings and selected More Big Bucks – the bull he rode for 89.75 points at the 2017 World Finals. This time, though, Leme was only 87 points on Chad Berger’s bovine and was not enough points to surpass Eduardo Aparecido for the event victory. Regardless, Leme has ridden six of his last eight bulls and is now 15-for-32 (46.88 percent) in 11 events. Leme feels his confidence is close to what it was in Las Vegas last year, but he is still not riding as good as he would like. The Top 10 of the world standings is ravaged with injuries, but one of last year’s strongest World Champion contenders is now back inside the Top 5 of the world standings. Eduardo Aparecido, who spent six months in 2017 as the world No. 1 bull rider, earned his first victory of 2018 by riding Stunt Man Ray for 90.75 points in the championship round to cap his perfect 3-for-3 weekend. Aparecido’s first 90-point ride of 2018 was the highlight of his best weekend since finishing fourth in the final 2017 world standings. He started with 86 points on Mortimer in Round 1 before riding Bandy’s Bad Boy for 87.25 points in Round 2. Aparecido earned 590 world points for the victory and trails world leader Ramon de Lima by only 269.17 points heading into the Easter break. The Unleash The Beast resumes on April 6 with the First Premier Bank Premier Bankcard Invitational in Sioux Falls, South Dakota. Nathan Burtenshaw used a career-high 89 points aboard Nailed to propel himself to a career-best, third-place finish and, most of all, well ahead of the Unleash the Beast cutline. The ride has Burtenshaw moving up the world standings. Burtenshaw began the weekend as the No. 36 rider in the world standings, but the Aussie’s 3-for-3 performance in Glendale moved him all the way to No. 24 heading into the Easter break after he picked up 270 world points. Burtenshaw began his weekend by riding Da Magic for 83.5 points in Round 1. He then avoided a close- call in the second round on Saturday when he got the wind knocked out of him after riding Doorknob for 86 points. The 23-year-old was knocked out of last weekend’s Ty Murray Invitational and has been competing with a left groin injury. Needless to say, he is excited for a weekend off for Easter and may consider taking some time off later in the first half to let his injured groin heal. “Well we have this week, so that is two weeks until Sioux Falls,” Burtenshaw said. “We have to keep pushing. If I do really good at Sioux Falls and the next one I may take some time off. As silly as it sounds. I miss my parents and my girlfriend. A bit extra time at home would freshen me up before the Global Cup. Rounding out the Top 5 in Glendale was Dakota Buttar (2-for-3, 225 world points) and Kaique Pacheco (3-for-3, 175 world points). Here are three things we learned from the Ak-Chin Invitational, presented by Cooper Tires, on Friday night at Gila River Arena. Dakota Buttar’s arm was yanked forward by Sid’s Wish inside the bucking chute on Friday night, but that wasn’t going to stop Buttar from picking up his second career 25th PBR: Unleash The Beast round victory. Buttar took a few minutes to let his throbbing riding elbow calm down before returning to the chutes and riding Sid’s Wish for 87.5 points to take the Round 1 title at the Ak-Chin Invitational, presented by Cooper Tires. Buttar hadn’t won a premier series round in his first two seasons in the PBR. Now he has won two Round 1s in back-to-back weeks. Buttar admitted that he has sometimes ridden to conservatively on the premier series. This year he has started to trust his talents a little bit further and is beginning to see results. The 25-year-old earned 100 points toward the world standings, and is tied for 22nd in the world standings with Fabiano Vieira. Buttar was bucked off by Frequent Flyer in 3.79 seconds during the 15/15 Bucking Battle. The Kindersley, Saskatchewan, bull rider expects to be OK for his second-round matchup against Passenger 57 despite his on-going elbow injury. Fabiano Vieira isn’t sure how his left knee will feel on Saturday morning when he wakes up, but the pain in his knee wasn’t going to stop him from letting out a celebratory yell as he was being helped past rider walkoff by the PBR sports medicine team. “92 points!” Vieira hollered in between gritting his teeth and grimacing in pain as he tried to put pressure on his knee. Vieira’s self-proclaimed score was a little farfetched, but his 90.25 points on Rising Sun was enough for him to win his third career 15/15 Bucking Battle. 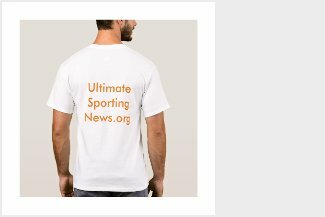 Vieira had missed the Ty Murray Invitational because of a concussion he sustained in Duluth, Georgia, two weeks ago. The 35-year-old earns 150 world points for his first 15/15 Bucking Battle win in three years. The ride is tied for the third best of his career and is his first 90 since covering Roy for 90.25 points in February 2016. Kaique Pacheco was the only other rider to reach 8 seconds in the 15/15 Bucking Battle after he covered Twinkle Toes for 87.25 points. It was the second consecutive ride for Pacheco, who finished Round 1 in third place via 86.75 points on Mac’s Barbeque. “I am very happy because (Mac’s Barbeque) is a good bull and I knew I could be a good score,” Pacheco said with the help of Paulo Crimber translating. Pacheco had entered the weekend 6-for-27 and 21st in the world standings. He earned 140 world points with his two rides Friday to move up to 18th in the rankings. Pacheco will look for a third consecutive ride when he faces Big Canadian(0-0, PBR UTB) in Round 2. Make it four straight weeks with a qualified ride for Chase Robbins. Robbins just hopes he can finally get at least a second qualified ride when he takes on Sting Ray in Round 2. The rookie bull rider conquered Trouble Maker for 87 points in Round 1 and will head into Round 2 on the heels of Buttar. The ride tied a career-high for Robbins, but his get-off was impressive as well as he was flipped over following the 8-second buzzer. The second-place round finish earned Robbins 60 world points and moves the Marsing, Idaho, bull rider to 30th in the world standings. “I honestly didn’t know if I was going to be 87, but I was glad to get him rode,” Robbins said. “Well, one of the most important things is I got my first one down. All I have to do is focus on the next one. It gives you a little bit of a relief. Tomorrow I will go and be focused and try to put together two more. Robbins hadn’t picked up a Round 1 score since riding the first bull of his career (Ol’ Boy) for 87 points last month in Kansas City, Missouri. Rounding out the Top 5 behind Buttar, Robbins and Pacheco was Jose Vitor Leme (86.5 points on Money Talks) and Eduardo Aparecido (86 points on Mortimer). Ryan Dirteater was bucked off by two-time World Champion Bull SweetPro’s Bruiser in 6.67 seconds during the 15/15 Bucking Battle after sustaining an apparent torn meniscus in Round 1 when he was bucked off by Acting Crazy in 1.04 seconds, according to Dr. Tandy Freeman. Bruiser was scored a career-high 47.5 points for the buckoff. Meanwhile, Freeman informed PBR.com that No. 2 Luciano de Castro will be out 4-6 weeks after tests this week in Dallas revealed Castro had torn his right MCL. Stetson Lawrence thought he could just toughen up and ride through a broken right ankle earlier this month, but three consecutive buckoffs quickly taught him that the best decision was probably to sit out for a few weeks. Lawrence, though, is now ready to return to competition after missing the past two events and will take on Sitting Bull (0-2, PBR UTB) in Round 1 and Breaking Bad (5-4, PBR UTB) in the 15/15 Bucking Battle Friday night at the Ak-Chin Invitational, presented by Cooper Tires. Lawrence is 14th in the world standings and is 9-for-25 (36 percent) with two 90-point rides and four Top-10 finishes. The 29-year-old made it a priority to do all he can to rehab his ankle after deciding to miss two events. The broken ankle was less of a problem compared to the strained ligaments he had sustained as well at The American Semi-Finals in Fort Worth, Texas, last month attempting to ride Mighty Mouse. Meanwhile, two-time World Champion J.B. Mauney is also returning to competition after missing the Ty Murray Invitational because of injuries involving his right shoulder, right groin and ribs. Mauney is slated to face Runnin Through the Jungle (2-2, PBR UTB) in Round 1 and is ranked 27th in the world standings. 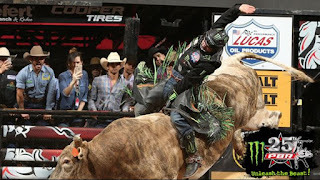 Lawrence and Mauney are just two of the many top PBR riders that have been slammed with injuries this season. There are eight riders in the Top 20 not competing in Glendale this weekend, while No. 30 Fraser Babbington (personal) and Aaron Kleier (personal) have chosen to remain home in Brazil. The injured riders are: No. 2 Luciano de Castro (right knee injury), No. 5 Dener Barbosa (right foot surgery), No. 7 Cooper Davis (partially torn ligament in his ring finger on his riding hand), No. 11 Derek Kolbaba (torn right ACL/MCL), No. 12 Guilherme Marchi (concussion and a sprained right sternoclavicular joint), No. 13 Jess Lockwood (sprained riding hand), No. 15 Gage Gay (reconstructive right knee surgery), No. 17 Brennon Eldred(partially torn right MCL) and No. 20 Emilio Resende (left calf contusion). Based on rule 3.1.6.4, Babbington has been deemed illegible for the Unleash The Beast until March 16, 2019, after missing last weekend’s Ty Murray Invitational. Babbington can now only qualify for the 2018 PBR World Finals if he were to win the 2018 Real Time Pain Relief Velocity Tour Finals, according to rule 3.1.6.4.1. This will also be the case for Kleier if he eventually is ranked inside the Top 30 of the world standings and chooses not to ride on the Unleash The Beast. Also returning from injury in Glendale is No. 24 Fabiano Vieira (concussion), No. 28 Alex Marcilio (sprained riding wrist and strained right groin) and No. 40 Lindomar Lino (fractured sternum). There will be 11 alternates getting the call to compete inside Gila River Casino Arena -- No. 36 Nathan Burtenshaw (-3.33 points behind Top 35), No. 37 Brady Oleson (-12.5), No. 38 Paulo Lima (-17.5), No. 39 Wallace de Oliveira (-30.83), No. 40 Lino (-43.33), No. 41 Justin Granger (-68.33), No. 42 Ueberson Duarte (-75.83), No. 43 Michael Lane (-78.33), No. 44 Rubens Barbosa (-91.67), No. 45 Fernando Henrique Novais (-93.33) and No. 46 Eli Miller (-100.63). A round win would propel all of these riders except Miller into the Top 35. Costa Rica native Alejandro Gamboa Calvo is also in the draw as a special invite. Glendale is Miller’s career debut on the Unleash the Beast. The 21-year-old from Statesville, North Carolina, earned an alternate position based on his victory last weekend at the Velocity Tour event in Wheeling, West Virginia. Miller is 7-for-20 (35 percent) at all levels of PBR competition in 2018. Miller, who received a full-ride scholarship courtesy of PBR fan Linda Wells when he was 15 to attend a bull riding school taught by Mauney and Chris Shivers, will look for the first ride of his career against Say When (0-0, PBR UTB). Granger is competing in his third career premier series event and first since 2014. The 26-year-old is 5-for-20 this season and won last weekend’s Velocity Tour event to rocket up to 41st in the world standings. The Tuba City, Arizona, bull rider lives roughly 250 miles from Glendale. Granger is 0-for-5 in his premier series career and, he too, will look for his first ride when he squares off against Frostywhirl (2-1, PBR UTB). World leader Ramon de Lima has drawn Wonder Flyer (3-1, PBR UTB) for Round 1.